TOSIBOX® Lock 500 is truly a game changer for IoT connectivity. In this article, Tosibox Product Manager Miikka Lääkkö answers the Top 10 questions about this innovative new product. What are the most obvious use cases for the TOSIBOX® Lock 500? This product is suitable for any industry and ideal for industrial automation and maintenance. At the same time, there’s great potential for example in security and office networking sectors. The massive encrypted VPN throughput enables remote video streaming and could also be used to connect network environments for remote work and locations. Why is this such a great product for the industrial setting? 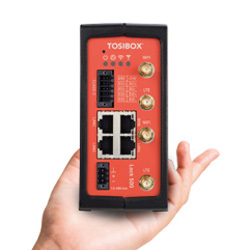 The TOSIBOX® Lock 500 is ideal for demanding industrial environments, thanks to its industrial power connector, industrial housing, integrated DIN rail mounting bracket, and digital I/O. What is the I/O functionality of the TOSIBOX® Lock 500? The TOSIBOX® Lock 500 has 2×2 x Digital I/O, which is one of the biggest new features. The digital I/O offers new possibilities to monitor and manage the device and connected devices. It can be used for the control of VPN and Internet connection status, e.g. to turn the maintenance window on and off or indicate e.g. with a light that somebody may be remotely servicing the machinery. What is the IP rating of the TOSIBOX® Lock 500’s enclosure? The Lock 500 has an IP20 protection rating. What is the power consumption of the TOSIBOX® Lock 500? The maximum power consumption is 10W. What is the difference between TOSIBOX® Lock 500i and TOSIBOX® Lock 500? The TOSIBOX® Lock 500i version has a built-in LTE modem, while the TOSIBOX® Lock 500 does not. The TOSIBOX® Lock 500 has six product variants: TBL5, TBL5PS, TBL5iA, TBL5iAPS, TBL5iB, TBL5iBPS. LC Automation stock the TBL5iA version . What makes the TOSIBOX® Lock 500 so secure? The TOSIBOX® Lock 500 has secure storage of encryption and authentication keys in a hardware-based secure storage, making copying or faking of the device identity impossible. 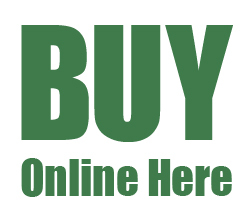 The integrity and confidentiality of the software are always verified at boot-up. All software updates are cryptographically signed and verified before installing. This means only product updates from Tosibox are allowed. Is the TOSIBOX® Lock 500 compatible with other TOSIBOX® Locks and TOSIBOX® products? Yes, the new TOSIBOX® ​Lock 500 is compatible with all existing TOSIBOX® ​products. The modularity of the products enables easy and fast extension of networks. What is the throughput of the TOSIBOX® Lock 500? The combined VPN throughput of TOSIBOX® ​Lock 500 is up to 70 Mbit/s. This massive encrypted VPN throughput enables, for example, remote video streaming and could also be used to connect network environments for remote work and locations. What makes the TOSIBOX® Lock 500 so reliable? TOSIBOX® Lock 500 offers an even easier and more reliable way of building remote access thanks to the built-in LTE modem (optional), WiFi, and the dual SIM-slots (optional) that help to achieve operator redundancy. Moreover, the TosiOnline™ feature delivers maximum uptime by automatically re-establishing dropped connections. Tosibox are our latest new supplier, but our technical and sales engineers have already been fully trained on their latest product range. If you have any questions about their products, or would like to see exactly how easy it is to set up and use, call 01254 685900 and ask to speak to one of our experts. They will be happy to help.